Elaine Hancock (Olney, United States) on 26 January 2012 in Plant & Nature. Très beau découpage de cet abres superbe iamge et compo avec la neige, la forme des branches est superbe. wow . . that original posting was longer ago than I remembered - I hope the tree is not already no more than a 'memory' ! @Ronnie 2¢: Thankfully it is still there. But not sure for how long. I would hope that the developers would have enough sense to leave it alone but you never know. Looks like a lonesome oak tree ? Nice frame. That's surely one of my fav here. Simple but sophisticate in its beauty. You were right to go for this exquisite sepia hint. A very inspired shot. Bravo Elaine. @Florence: Thank you Florence! That means a lot! 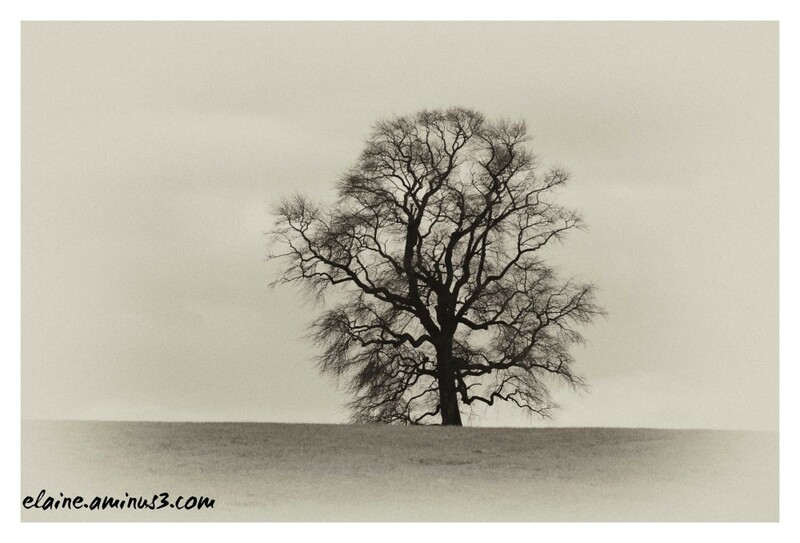 I love lone trees in images. Nice tones. @Eric Cousineau: Thank you Eric. When I drive by the tree I usually stop the car and sit. It doesn't seem to have the same appeal when the leaves are on the tree. Solitaire!! j'aime++++ et le N et B lui va à ravir! This is stunning! I love the loneliness and stark contrast! Superb! Very minimal, but still beautiful. Minimalistic, yet quite effective! Great network of branches in this tree and I love the fortness surrounding the tree. Great find and capture! Nice treatment! beautiful bit of minimalistic composition with excellent processing to complete the photo! well done!